Having a business card designed to match your company image is very important to the success of your printed marketing campaign. 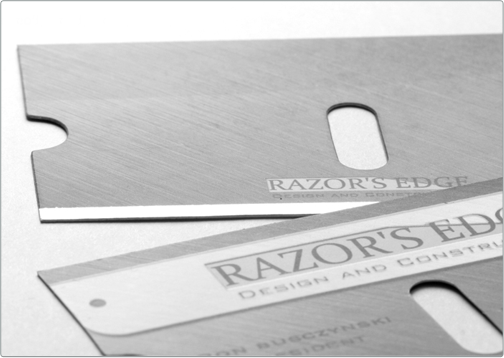 The design you decide on for your business card will be the focal point of your silk laminated marketing materials. It will be the first and foremost impression people will have of you and your company, so be sure your business card design is custom designed by a professional at Taste of Ink Studios. 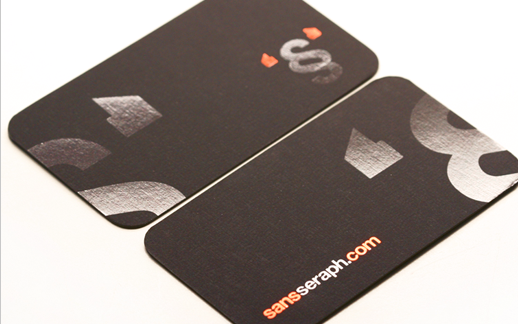 Our design and print specialists will work with you to create the perfect custom business card design. 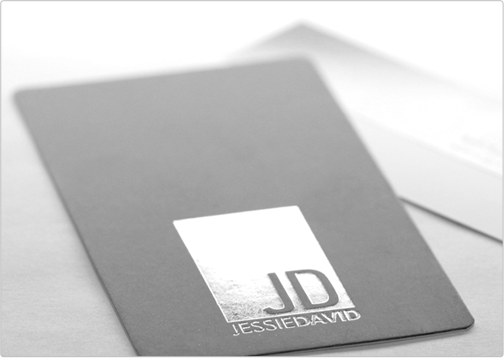 When choosing the perfect business card for your company, it's important to think of a few important issues. The first is: Who is my desired customer? In other words, whom are you trying to market to with your printed materials? Answering these questions will give you a better idea of the type of business image that will appeal to your targeted clientele. The second question to ask is: What are my budget limits and what are my business goals? You need to have a clear idea of what you want to spend and what you hope to accomplish by having a unique business card designed. 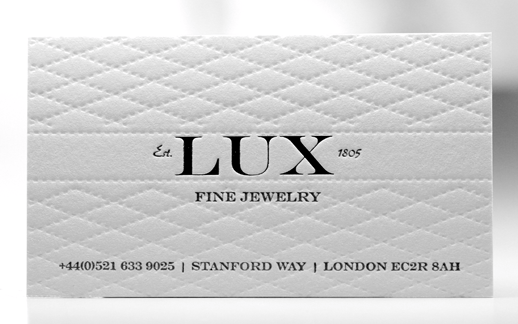 Your business card design should set you apart from your competitors. If it looks like everyone else's, prospective customers will not see how you are any different than the rest. Having your business card custom designed by a professional designer ensures that it will be both unique and creative. In marketing it is very important to display an individualized identity that both catches the customer's eye and accurately conveys your company image. 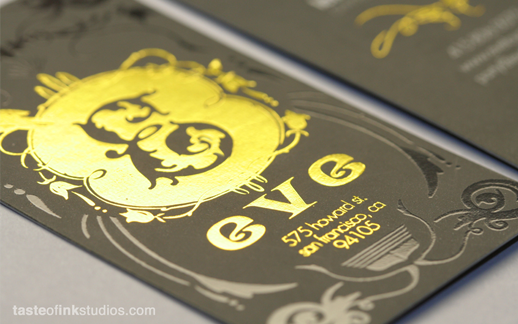 Taste of Ink specializes in producing highly unique silk business card designs. 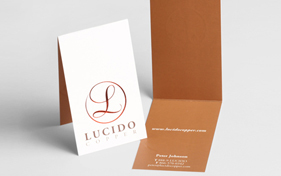 Our design experts start from scratch when producing - there are no templates or pre-made card designs used. 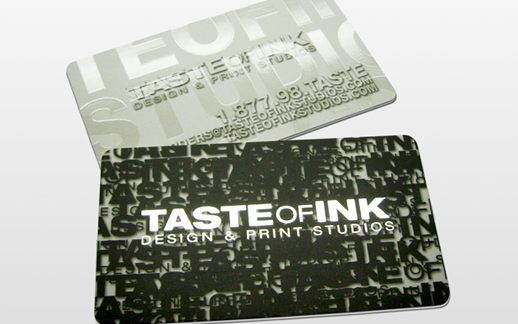 The design specialists at Taste of Ink will work with you to determine the best business card design to fit your company image.